Magnus the Red, the one-eyed leader of the Thousand Sons, is one of the galaxy's strongest psyker, only surpassed by his father, the Emperor of Mankind. On huge wings he descends from heaven to spread fear, fire and madness with his psyker mutated legion. Games Workshop has captured all the power of the Crimson King with this magnificent miniature. 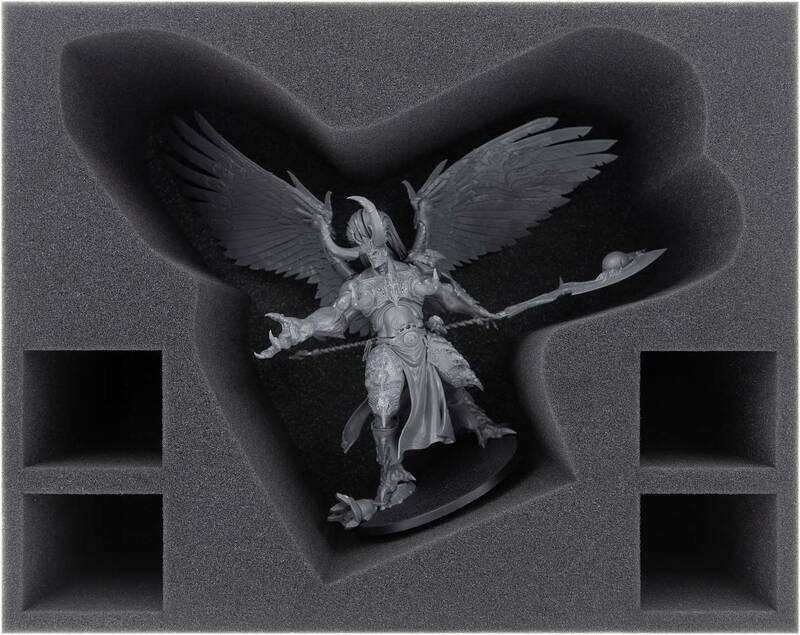 So that his giant wings, the Blade of Magnus and all the other thousand details will still herald his power in the future, we have designed this Full-Size foam tray. It offers optimum protection for this unique model with a compartment tailored precisely to Magnus the Red. This not only provides safety for the fine, sensitive parts. The colors of the painted miniature also remain unharmed. Beside the Daemon Primarch of Tzeentch there is room for 4 more miniatures. 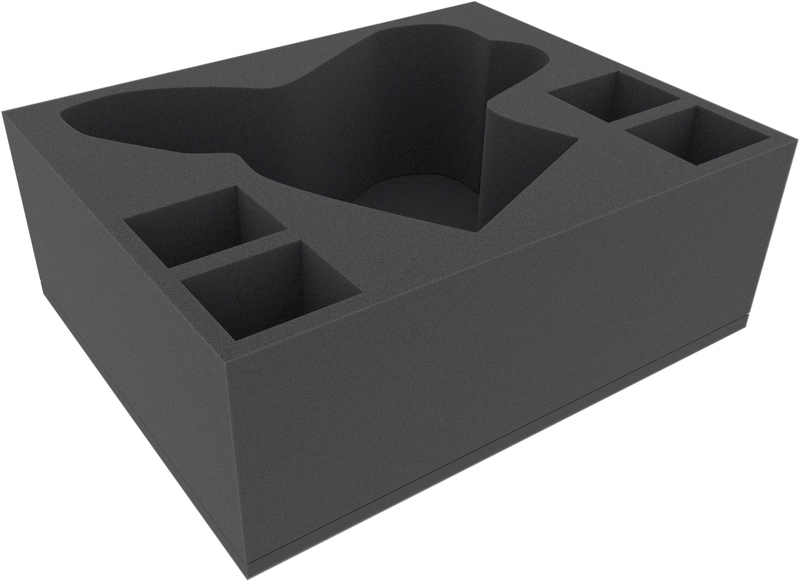 The rectangular compartments can be filled with figures of your choice. They are suitable for example for further warriors from the Supreme Command Detachment of the Thousand Sons, like the Scarab Occult Terminators or the Exalted Sorcerors. 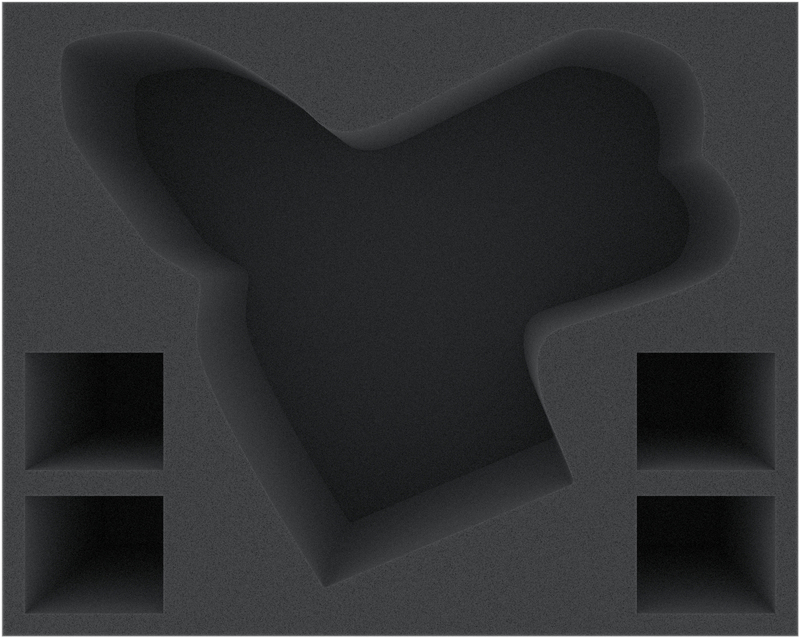 Each of the 4 rectangular compartments is 60 mm long x 51 mm wide x 115 mm deep.